The end of the year is a fine time to gaze forward, not in terms of decades from now, but in terms of what’s being done right now that will have major effects in the future. The controls industry is undergoing a radical restructuring as technology evolves. The intelligent building continues to beckon owners toward its benefits, but even it is only a part of an intelligent city. The GridWise initiative is gaining power. And yet, it will still come down to people to deliver the real value for clients. Read on, and look ahead. For several years my website, columns, articles and magazine supplements have been extolling the merits of integration. My preaching’s often ramble on about our inevitable integration path, but do not interpret my words to mean that we will have integration without reason. All integration must be driven by added value, and must increase the overall intelligence and net worth of all it touches. DDC controls and security systems will become a commodity not unlike cell phones, inexpensive highly functioning devices sold on the open market. OEM markets will expand far beyond what we see today. Engineers will be able to specify the best boiler management system and have it arrive pre-programmed for a specific job. The same with be true for air handling systems; simply specify the best controller for this application and have it factory installed, programmed and tested before being delivered to the job site. You need only look at the flurry of M&A activity to see the market strategies forming. JCI is buying mechanical contractors, a building management company and now York International. Schneider Electric bought TAC, Andover and Power Measurement. The independent HVAC / BAS contractor should be looking for a new business. HVAC distributors offering turnkey parts and smarts solutions to any trunk slammer. The future remains to be seen but the next few years should make for an entertaining ride. With so many companies fighting for the top spot on the integration pyramid the ultimate winner should be the consumer. Radical changes are our future, but opportunities also abound. Although the larger companies are investing heavily in buying companies that excel at intelligent integration they will only be as successful as the weakest link; the people who make it all happen. Only intelligent implementers of integration will be able to provide understanding, increased value, and net worth to the client‘s project from their experiences. There are a finite number of people with these skill sets plus they are not all aligned in any one camp. This creates great opportunity for those that get the big picture to work independently as integration consultants and or contractors exercising their skill in the intelligent growth of their client’s enterprise. Intelligence integration will be developed by those that are able to understand and profit from their experiences and who can provide the best real time connections to their client’s world. These people will develop the new intelligence working directly with their client’s problems and his enterprise. History has proven that innovation does not come from the industry giants. When new concepts are developed and have been proven, accepted, and more importantly actually work, the industry giants will simply buy the company. This reduces the risk and cost of taking new intelligent concepts to market. Intelligent buildings are here now, but in the near future the focus will transform to the Intelligent Enterprise. From there the nest trend will be to elevate the Intelligent Enterprise ultimately to the Intelligent Electric Grid or GridWise. GridWise envisions Web Services to create a smart national electricity distribution system or grid. A Smart grid would be more reliable by allowing for utilities to respond quickly and intelligently to emergencies. The underlying technology however will allow GridWise to do much more by creating tremendous savings opportunities for energy users and extending interoperability to a new level. Futurists talk about disruptive technologies that completely reshape markets, GridWise introduces just that type of technology. What is it GridWise & the Interoperability Constitution? The GridWise Architecture Council was created in 2004 following the August, 2003 Northeast Blackout and in response to Congress and the Department of Energy’s call for a next-generation electric system. This Architecture Council brings the advancements occurring in information technology to electric system operations by establishing broad industry consensus in support of the technical principles that enable the interoperability necessary to transform electric power operations into a system that enhances our socio-economic well-being and security, while optimizing energy cost. It can also transform the energy industry and create new technology based jobs that will make it possible to dispatch energy efficiency instead of starting a power plant. A part of the GridWise added intelligence is Demand Response (DR) a set of time dependant activities that reduce or shift electricity use to improve electric grid reliability, manage electricity costs, and provide systems that encourage load shifting or shedding during times when the electric grid is near its capacity or electric prices are high. Demand Response is a subset of demand side management, which also includes energy efficiency and conservation. The overall goal of this research project was to support increased penetration of DR in large facilities through the use of automation and better understanding of DR technologies and strategies in large facilities. To achieve this goal, a set of field tests were designed and conducted. These tests examined the performance of Auto-DR systems that covered a diverse set of building systems, ownership and management structures, climate zones, weather patterns, and control and communication configurations. GridWise and DR coupled with online utility pricing great adds to the concept of integrating intelligence. In the Asia Pacific, the notion of an Intelligent Building is becoming inextricably linked to the broader idea of the Intelligent City. In this regard, Intelligent Buildings are not just stand-alone entities, but interconnected hubs within the citywide infrastructure. The natural consequence of this is the development of cities within cities: smaller, ecosystems comprising a tightly integrated network of buildings that better enable the management and optimization of systems and resources. Why this is important is that it gives rise to an entirely different set of drivers that make Intelligent Buildings an economic and business necessity and not just something that is "nice-to-have". Perhaps the most important business driver is the ability to reduce cost, optimize manpower utilization and improve service levels through aggregation, service integration and process automation respectively. Maintenance and Facility Management - eg field service automation to manage assets across multiple buildings. 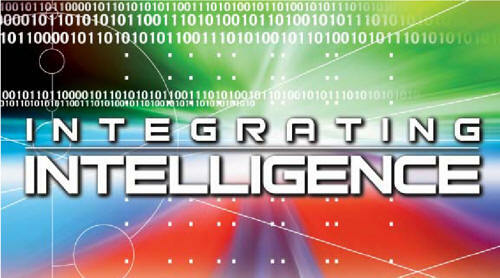 What are some of the new sources of intelligence being integrated? Digital displays support commerce, public safety and information needs because they are so visual, vivid and eye-catching. Being able to provide information at a point of decision or when information is needed underpins the value of this communications medium for advertisers and public service providers. Digital Signage is a display system used to present a dynamic computer generated message to your audience. It includes full motion video, graphics, sound, and text. Ideal locations are corporate offices, retail stores, malls, hotels, restaurants, schools, and airports. The actual display device can be plasma or LCD displays, or multiple monitors. IP networks and open standards are changing this industry as well, and opening up new business opportunities. A -V components are moving to web based controls and user interfaces. Voice over IP (VOIP) technology can be utilized as a central building paging and/or public address system which can be zoned much more cost effectively than its analog predecessors. Properly designed, a VOIP paging system can also be used for emergency voice communication purposes and background music. Digital information displays can be designed to serve multiple building functions; Corporate or public bulletin boards, video broadcasts (CNN, Weather Channel etc. ), stock market information, and to deliver fire, security and life safety messages or videos. A new breed of networked sensors that are low cost, of ultra-miniature size, media independence (wired or wireless), extensible architecture, and universal applicability across different industries are positioned to add a new level of intelligences. For example, consider what can be done when a control network and sensors are embedded within carpeting. Smart carpeting would allow traffic patterns to be tracked, directing cleaning crews only to those areas that were trafficked. Occupied areas could be identified to emergency response teams, right down to individual office cubicles, in the event of a fire. An alarm could be raised automatically if a guard on tour is overcome by an intruder. What does it take to measure intelligence? Sinclair: Can you give me a quick description of the work done to date on the Task Force 1 – Intelligent Building Ranking System? Lohner: The IB Ranking System will be an online tool intended to assist building owners/managers, the commercial real estate industry and other industry stakeholders assess the level of integrated systems within a building (i.e., develop a BIQ). A comprehensive list of intelligent building criteria has been developed as well as a “ranking matrix”. An IB ranking workshop was held in Dallas this past year in conjunction with the BuilConn conference to review and refine the ranking matrix. This matrix and the various Intelligent Building functional areas now will form the basis for a comprehensive ranking tool. The task force has recently completed the development of a formal request for proposal and is ready to engage the services of a qualified contractor.